Experimental Chronic Wasting Disease (CWD) in the– Experimental Inoculation: Develop CWD when injected PrP from deer into cerebrum but do not develop CWD if PrP given orally-Clinical signs: Polyphagia, somnolence, piloerection, lordosis and ataxia– Microscopic lesions: Spongiosis of neurophil in basal ganglia, thalamus, midbrain and pons -Exception: Perivascular PrP aggregates or plaques are absent in ferrets but present in cervids. Identification of Group 1 Coronavirus Antigen in Multisystemic Granulomatous Lesions in Ferrets (Mustela putorius furo): Group 1 includes human coronavirus strain 229E, porcine TGE virus, canine coronavirus, porcine epidemic diarrhoea virus, and ferret enteric coronavirus. Four main types of lesions were observed: diffuse granulomatous inflammation on serosal surfaces; granulomas with areas of necrosis; granulomas without necrosis; and granulomas with neutrophils. (22%) exhibited focal or isolated tubular cysts only as an incidental necropsy finding. Ferrets with secondary renal cysts associated with other developmental anomalies, mesangial glomerulopathy, or end-stage kidney disease had hyperphosphatemia and elevated BUN in comparison with those with primary cystic disease and elevated BUN compared with those without renal lesions. High-throughput Immunophenotyping of 43 Ferret Lymphomas Using Tissue Microarray Technology. Vet Pathol 44:196–203 (2007). The results of this study confirmed previously published results suggesting specific cross-reactivity of the applied IHC markers (CD3, CD79a, Ki67) with ferret lymphoma tissue. Other IHC markers (CD45Ro, bcl2, bcl10, MUM1, CD30, vimentin) were also expressed in subsets of the included ferret lymphomas. TMA technology was useful for rapid and accurate analysis of protein expression in large archival cohorts of ferret lymphoma cases. Myofasciitis in the Domestic Ferret. Vet Pathol 44:25–38 (2007). young ferrets, Gross lesions -atrophy of skeletal muscle; red and white mottling and dilatation of the esophagus; and splenomegaly. 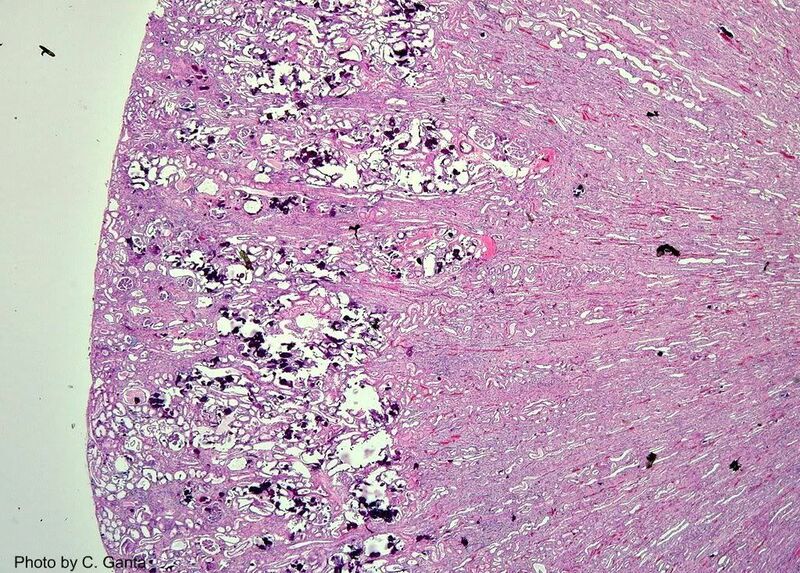 Histologically-suppurative to pyogranulomatous myositis in the esophagus, heart, limbs, body wall, head, and lumbar regions. Myeloid hyperplasia of spleen and/or bone marrow also is a prominent feature. Ultrastructural lesions include mitochondrial swelling, intracellular edema, disruption of myofibrils and Z bands. Subcutaneous Neoplasms of the Ventral Abdomen with Features of Adrenocortical Tumors in Two Ferrets. Vet Pathol 44:951–955 (2007). neoplasms were composed of islands of polygonal cells separated by interlacing streams of spindloid cells reminiscent of ferret adrenocortical tumors with smooth muscle proliferation. immunohistochemically, the polygonal cells demonstrated strong cytoplasmic reactivity for inhibin and weak cytoplasmic reactivity for pancytokeratin and S-100 protein. Spindloid cells demonstrated strong cytoplasmic reactivity for alpha smooth muscle actin, muscle-specific actin, desmin, and glial fibrillary–associated protein. Ultrastructurally, the polygonal cells contained numerous intracytoplasmic clear vacuoles, mitochondria, scant rough endoplasmic reticulum, and few intermediate filaments. suggestive of adrenocortical tumors with smooth muscle proliferation, but cannot be differentiated from an ovarian gonadal stromal tumor. 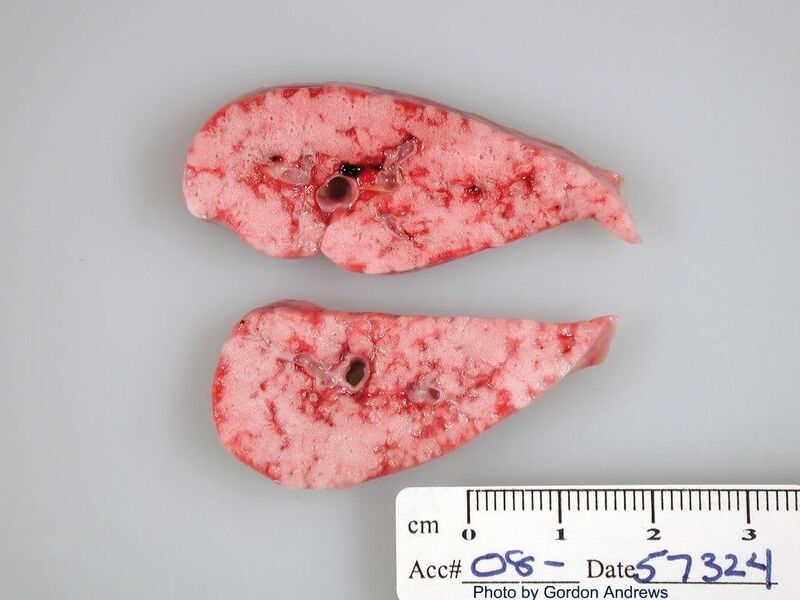 Clinicopathologic Features of a Systemic Coronavirus-Associated Disease Resembling Feline Infectious Peritonitis in the Domestic Ferret Vet Path 2008 Mar: Grossly, whitish nodules on mesentery, lymph nodes, visceral peritoneum, liver, kidneys, spleen, and lungs. Microscopically, pyogranulomatous inflammation was seen. IHC positive for coronavirus antigen using monoclonal antibody FIPV3-70. Two diseases caused by coronaviruses have been described in ferrets: severe acute respiratory syndrome (SARS) and epizootic catarrhal enteritis (ECE). Wet form like in cats was not seen. Cytochrome b5 Expression in Gonadectomy-induced Adrenocortical Neoplasms of the Domestic Ferret (Mustela putorius furo). Vet Pathol 45:439–442 (2008) July. Normal adrenocortical cells lacked cyt b5, which may account for the low production of adrenal androgens in healthy ferrets. Other markers characteristic of gonadal somatic cells, such as luteinizing hormone receptor, aromatase, and GATA4, were coexpressed with cyt b5 in some of the tumors. We concluded that cyt b5 is upregulated during gonadectomy-induced adrenocortical neoplasia. Pathology of Experimental SARS Coronavirus Infection in Cats and Ferrets. Vet Pathol 45:551–562 (2008). All infected cats and ferrets had diffuse alveolar damage associated with SARS-CoV antigen expression. SARS-CoV antigen expression occurred mainly in type I and II pneumocytes and serous cells of tracheo-bronchial submucosal glands of cats and in type II pneumocytes of ferrets. ACE2 expression occurred mainly in type I and II pneumocytes, tracheo-bronchial goblet cells, serous epithelial cells of tracheo-bronchial submucosal glands in cats, and type II pneumocytes and serous epithelial cells of tracheo-bronchial submucosal glands in ferrets. syncytia and hyaline membranes were not observed. Laboratory Findings, Histopathology, and Immunophenotype of Lymphoma in Domestic Ferrets. Vet Pathol 45:663–673 (2008). Tumors involved the viscera of the abdominal cavity, thoracic cavity; the skin; or the viscera. Microscopically, all tumors had diffuse architecture. Diffuse T-cell lymphoma > anaplastic large T-cell lymphoma >, anaplastic large B-cell lymphoma > diffuse large B-cell lymphoma > and Hodgkin-like lymphoma. frequently associated with anemia and, in some cases, may be chemosensitive, resulting in relatively long survival times. Naturally occurring influenza infection in a ferret (Mustela putorius furo) colony. J Vet Diagn Invest 21:527–530 (2009). bronchointerstitial pneumonia with necrotizing bronchiolitis. Influenza A virus was detected. homology to contemporary reassortant H1N1 swine influenza viruses. Detection of Group C Rotavirus in Juvenile Ferrets (Mustela putorius furo) with Diarrhea by Reverse Transcription Polymerase Chain Reaction: Sequencing and Analysis of the Complete Coding Region of the VP6 Gene. Vet Pathol 46:985–991 (2009). 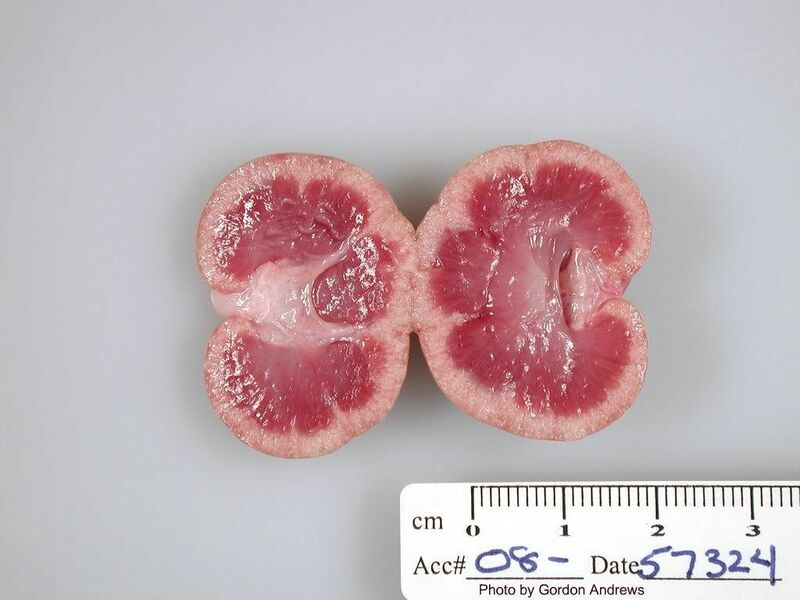 Histologically, small intestines exhibited acute superficial atrophic enteritis. Transmission electron microscopy of the small intestine showed rotavirus-like particles within apical vacuoles. Reverse transcription polymerase chain reaction (RT-PCR) was negative for group A rotavirus. 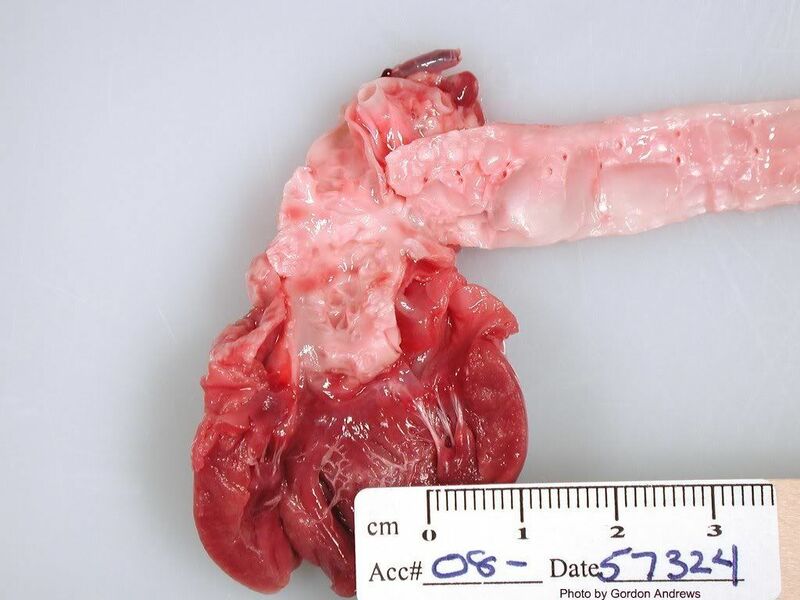 A KIT-positive gastrointestinal stromal tumor in a ferret (Mustela putorius furo). J Vet Diagn Invest 21:915–917 (2009). A 1.5-year-old, neutered, male ferret (Mustela putorius furo) was presented with sudden lethargy, anorexia, and diarrhea. Clinical and radiographic examinations revealed an intra-abdominal mass. An explorative laparotomy was performed. A neoplasm, located in the ileum wall, was submitted for histopathologic examination. The tumor consisted of weakly eosinophilic spindle cells arranged in a compact pattern with haphazardly interlacing bundles. Neoplastic cells labeled positively for KIT (cluster of differentiation 117, stem cell factor receptor) and vimentin. Based on histologic and immunohistologic results, this tumor was diagnosed as a gastrointestinal stromal tumor. Results suggest that this ferret tumor shares strong similarities with the canine and human counterparts.